I love it outside right now....daffodils are everywhere! Spring is finally here! Have you tasted the goodness of oranges right now? They are the sweet things. 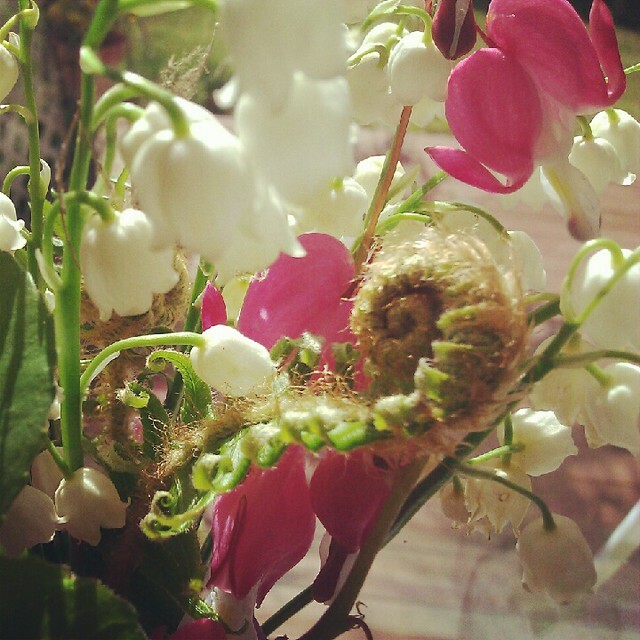 A delicate spring bouquet...May flowers photo from last year. 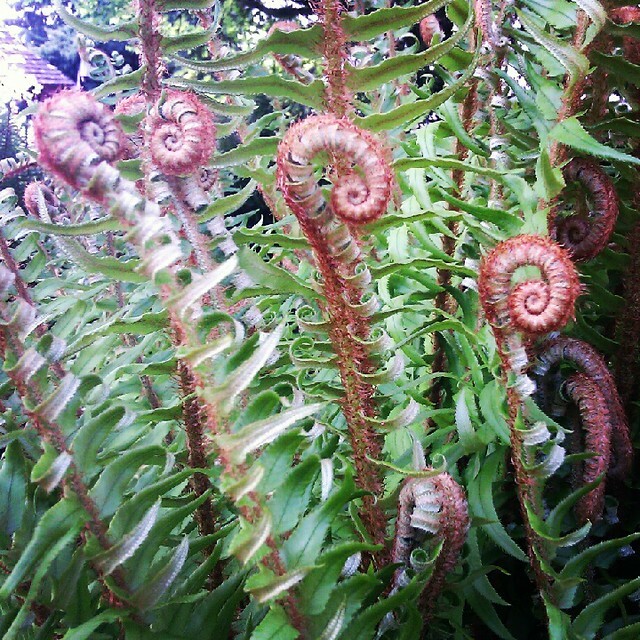 Ferns sprouting out from their wonderful curly Q fronds of new growth. Nature does it best. Have a pleasant weekend. Take time to smell the flowers.